The convergence of sponsorship and technology that can help brands maximize sponsorship investments across the entire sports ecosystem with the help of cutting edge technologies such as machine learning, image recognition, and data driven insights. Marketers are using technologies such as Adtech and Martech to not just prove their ROI but to improve and influence their spending decisions. However, the sponsorship market has many different players with varied technologies who only measure parts of a sponsorship, but a single technology or tool to actively track the lifecycle of sponsorship was not available until now. Hookit, a pioneer in spontech, can measure the total impact of a sponsorship — from traditional, social, and digital media as well as value generated by influencers, fans, and the larger social ecosystem. With the help of technology backed measurement, sponsorship decisions can be made with a high degree of precision. A sponsor can then take actions such as identifying the best properties to sponsor, adjusting campaigns to drive higher ROI/ROO based on near real time data and structure sponsorships that reward performance aligned with the sponsor’s goals. Big Data — the term used to denote large amounts of structured and unstructured data is changing the way businesses are run today. Structured data has been used to drive decisions for a long time, but this kind of data was limited, relatively static and not updated frequently. But now, along with structured data there is a large amount of unstructured, qualitative data such as text, images, conversations on social media, etc. Unstructured data is updated frequently, sometimes in real time, is free-form and generated from multiple sources. This data is also rich in audience insights and sentiment which brands and sponsors can use to gauge the impact of their sponsorship efforts. However, to extract the essential insights from big data, technologies such as artificial intelligence, and machine learning are necessary. Hookit is the market leader in unstructured data measurement, particularly from social and digital media. Using its advanced Hookit Valuation Model (HVM), a sponsor can learn the aggregate advertising value a sponsored property generated for them. This value earned by the sponsor from social media will be a comprehensive value calculated from not just images or logos seen, but from the total interactions on social media. Historically, the effect of sponsorship investments have been measured retrospectively. This descriptive analysis has helped sponsors measure the impact and ROI of their sponsorship investments after the event has occurred. But now, with real time data measurement available, historical and real time data can be combined to provide insights to improve sponsorship investments. With the availability of advanced machine learning technologies for analysis, the analytics of the future will be predictive and prescriptive. 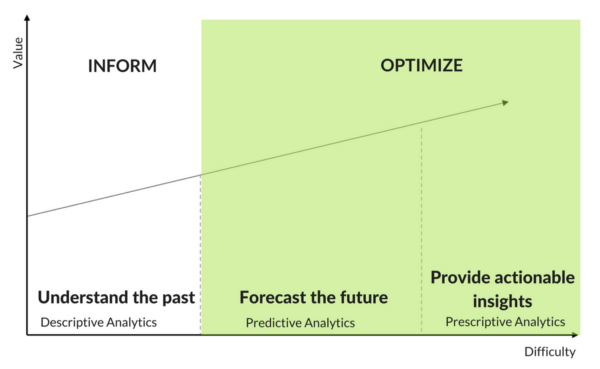 Brand marketers will migrate to more proactive approaches such as predictive analysis (what is likely to happen and how a sponsor can use that to their advantage) and then to prescriptive analysis (what action can be taken to identify where opportunities lie and avoid potential pitfalls). In short, brand marketers will use advanced platforms like Hookit to help convert the data available to them into actionable insights, thereby making progressive and innovative sponsorship decisions and understand which properties they should sponsor to better achieve their sponsorship goals. With the recent issues around how data from social media platforms are being accessed, responsible and ethical use of data is now crucial. In 2018, Instagram announced changes in its API and placed checks and balances on the data that is shared with third parties. Similarly, other social platforms and data sources will work on developing and cultivating responsible use of personal data. Sponsors can still use data insights from social platforms to drive their sponsorship decisions by affiliating with trusted third-party platforms such as Hookit who follow data privacy best practices. Social media is top of mind for most sponsors today and 98% of sponsors use social media platforms to activate their sponsorships. Also, the presence on a social or digital platform was the second most important benefit for a sponsor behind category exclusivity. Social media analytics are considered a valuable metric for sponsors and with billions of interactions on social platforms every minute, it becomes important to not just measure the impact of social media on sponsorships but to do it in real time. Hookit’s live dashboards update social media stats in near real time, which help sponsors to monitor and make decisions about their sponsored properties that can impact ROI. 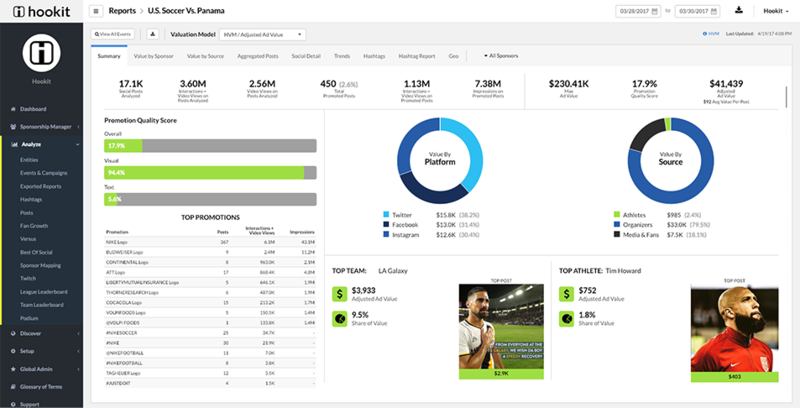 These real time data driven decisions enable sponsors to stay ahead of their competition and also help tweak sponsorship campaigns and sponsored athlete interactions during an event to drive maximum sponsorship value. The eventual climax of the impact of spontech? 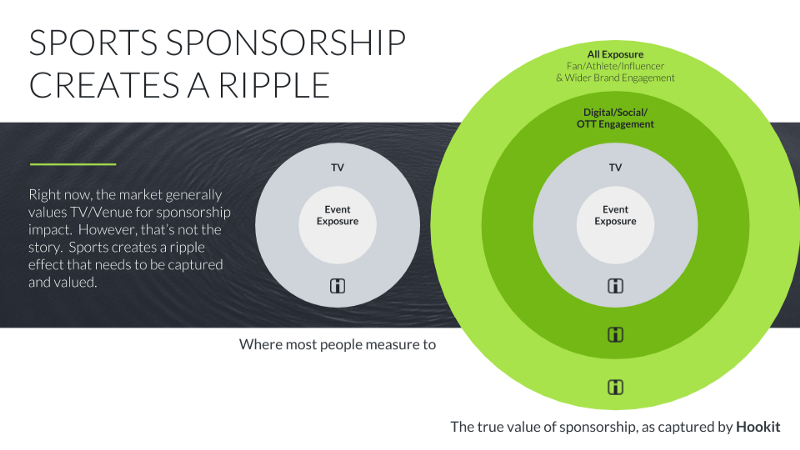 Sponsors and brands will structure their sponsorships based on the performance of the sponsored property and how well it aligns with the sponsor’s objectives, all using data-driven metrics to track and report. Today, huge amounts of data are available, but that data by itself has no value without any applied technology or a trusted platform to process the data appropriately. Spontech platforms like Hookit provide actionable insights specifically geared towards the sports sponsorship industry. With the advent of performance-based sponsorships, sports properties and brands will look to spontech platforms to prove the value of their sponsorships. Are you ready to put data insights and technology to work as the backbone of your sponsorship decisions?